We've just dipped our toe into conference play, but I'm curious what you think about the current regional rankings. Here is how I would see it based on the first month of the season. This early, the exact order is not overly important. I do think you've named 10 teams that we could see in the regional talk near season's end - all have had very solid starts and look to have some talented rosters and good coaching. With SNU getting blown out by 30, they may not deserve to be quite so high. I think the best teams find ways to keep it close even during cold-shooting nights, but the Storm was blown away at SEOK. Lose by 1 or lose by 30, it doesn't matter. Unless things have changed, margin of victory is nowhere to found in the regional ranking criteria. Sorry Randy, thought we were looking for opinions here. Sounds like it's all formula based and therefore could someone just post the ratings and no followup comments are necessary? I think Mo. Southern and NWMS should be 1 and 2 in either order. I feel like Wayne State should be higher. They have had an excellent season so far and have several quality wins. Pitt State could be a little higher. Washburn is about right (4,5 or 6) and I am not sure about everyone else. I do know that Southern Naz. is legit. I am not sure what happened to them in their last game but some times things can spiral in a bad way out on the road. They have size, athleticism and very good guard play. Should be a fun season. Last edited by Btech#3; 12-10-2018 at 01:42 PM. In fact, move NW down to 5 below Washburn. Oops! 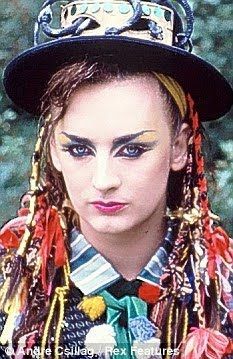 I thought you said Culture Club. Sorry! Despite the most recent disturbing post to this thread, I thought I'd bump it with my current regional rankings. I went to 12 teams to get the GAC in. FWIW, schnautza's PI for the region (hope I didn't omit anybody). Very interesting. NWMS leads by a pretty wide margin. Still early but it looks like 2 thru 10 are really close. I didn't realize how many teams already have 3 or 4 losses. I noticed that too. The gap from 1-2 is the same as 2-12. Maryville is good at hosting regionals. They made the NSIC teams feel really welcome last year. Folks were nice enough for sure, however until that road improves from the interstate I will very likely never make a return trip. Which one did you take?